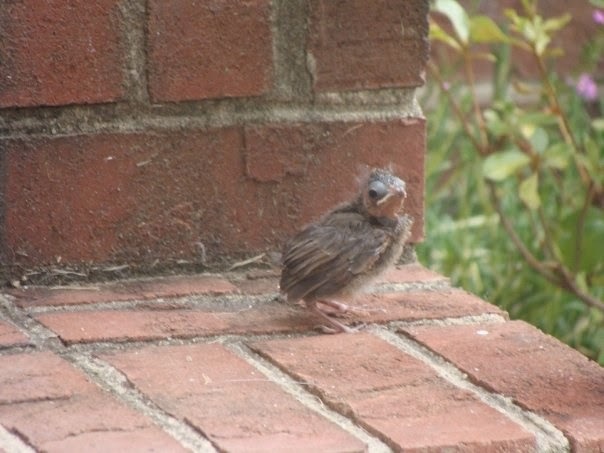 I have no idea what kind of baby bird this was, but it was fluffy and cute. Also I've never seen the resemblance between dinosaurs and birds until now...look at that face! This is just fascinating. My jaw dropped while reading the article. I'm not really surprised that animals have some sort of "names" for each other...but a family song? Mama birds teaching baby birds something before they hatch? Conniving birds of a different species? Nature is so intriguing.